Woohoo today is a special day! It’s National Cereal Day. Yes, America’s (and I think Canada too) favourite breakfast has its own holiday. I hope you’ll eat some cereal today to celebrate. Cereal has always been one of my go-to breakfasts for feeding my family. Not only is it quick and easy to make, but it’s also nutritious! Well, if you buy certain types of cereal it is. Nature’s Path is a well-known (and loved) brand in the pantrys of many homes, mine included. Their organic cereals are made with premium quality ingredients with no simulated flavours or preservatives. And they taste great! With all the yummy flavours available, you have lots of choice to suit everyone’s tastes. 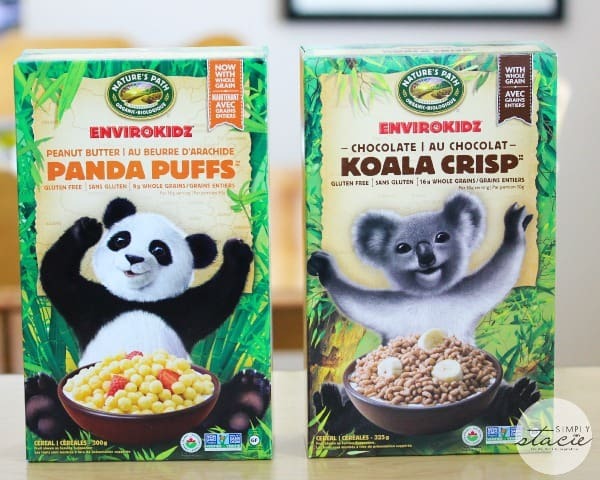 My kids love the Envirokidz Cereal including Peanut Butter Panda Puffs and Chocolate Koala Crisp. Other tasty varieties include Whole O’s, Mesa Sunrise, Sunrise Crunchy Cinnamon and Sunrise Crunchy Honey. My favourite is the Sunrise Crunchy Honey. It has just the right amount of sweetness and gives me energy to start my busy day. 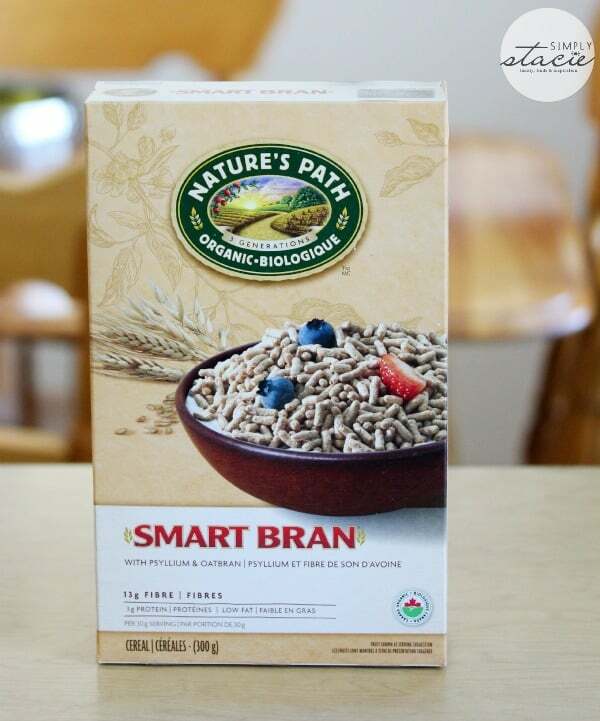 Get your daily fibre with a bowl of SmartBran. I’ve tried it also mixed with some plain yogurt. For a less traditional cereal, try Qi’a™ Superfood – Chia, Buckwheat & Hemp Cereal Cranberry Vanilla. You only need 2 tbsp of the cereal mixed with some milk. I wasn’t sure at first because I’d never tried this type of cereal, but was pleasantly surprised that I enjoyed it. 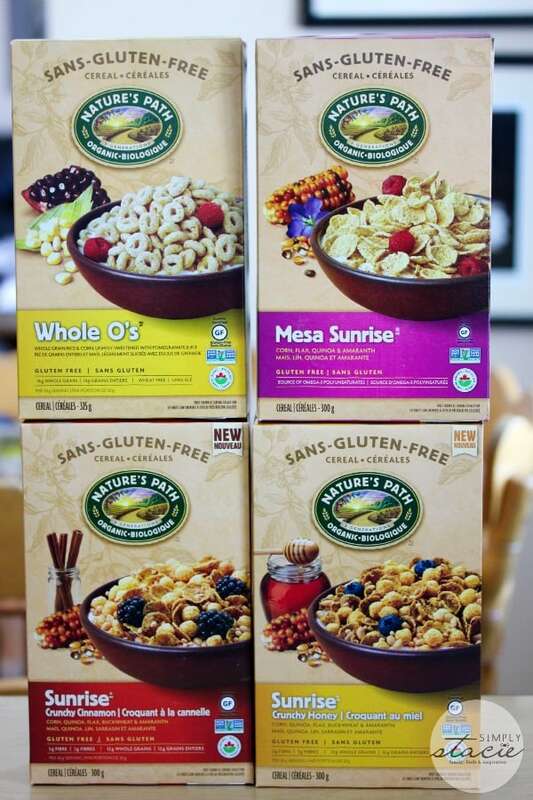 Look for these products and other Nature’s Path cereals in a store near you. Check this list to find one in your area. How often do you eat cereal for breakfast? Connect with Nature’s Path on Facebook, Twitter and Pinterest. Love Crunch® Dark Chocolate & Red Berries. I would love to try the Sunrise Crunchy Vanilla cereal because I love anything vanilla. I would like to try the Sunrise Crunchy Maple cereal. I’d like to try the Multigrain Oatbran Cereal. I would love to try the Bavarian Rye Sourdough bread. It is wheat free, cholesterol free, and no sugar added. I really like rye breads, but this one sounds really healthy. the Sunrise Crunchy Maple cereal sounds really good !! I would like the Love Crunch Dark Chocolate & Red Berries.Thank you for the chance to win it. I’ve had a few of their products already, but one I haven’t had is the Pumpkin-N-Spice™ Flax Plus® Granola Bars. I would like to try the Chia Plus™ Coconut Chia Granola. I’d like to try the Optimum Cranberry Ginger Hot Oatmeal. Thank you for the giveaway! I would love to try the Coconut Chia Granola or the Maple Nut Hot Oatmeal. I would like to try Sunrise Crunchy Maple. I would like to try their Buckwheat Wildberry Frozen Waffle mix. Thanks for having this contest. I would like to try the Flax Plus Flakes. I would like to try their pumpkin spice waffles. I would like to try the Dark Chocolate & Red Berries the most, it must be very good. I want to try Love Crunch® Dark Chocolate Macaroon. Sounds yummy! 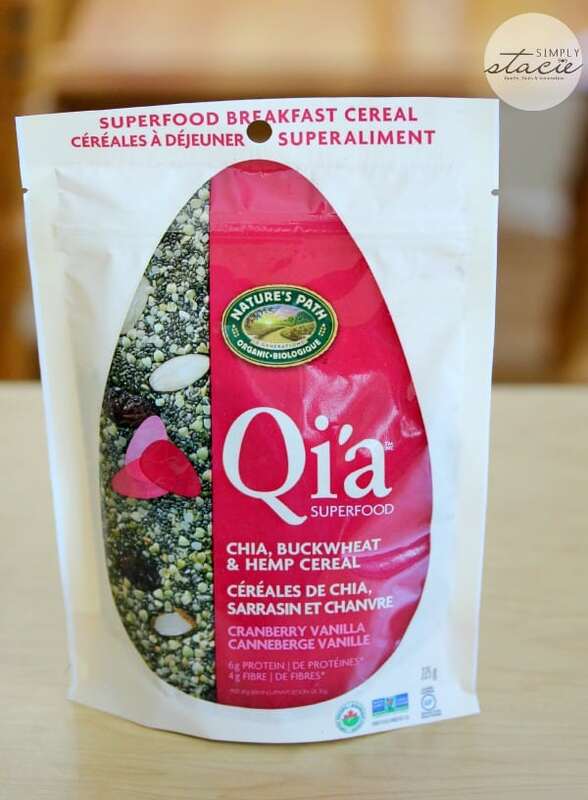 I want to try any of the Qia superfoods. Thank You for the giveaway…we would like to try Flax Plus Flakes ! I’d like to try the Chia Plus™ Coconut Chia Granola.